Scroll down to meet our Director! 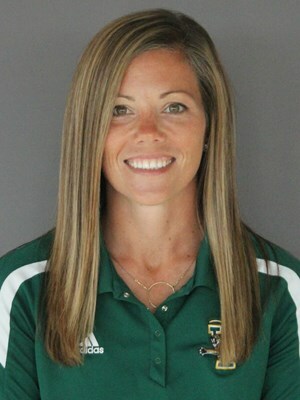 Kate Pfeifer was named head coach of the Vermont field hockey program on January 16, 2014. She is the fourth head coach for the UVM field hockey program since 1979. Pfeifer guided the Catamounts to three victories in her first season at the helm of the program in 2014, including two wins in the team’s final four games. That year, Pfeifer coached four players who earned All-Conference honors–the most since 2008, when Vermont also had four players selected as All-Conference performers. In her second year, UVM notched four wins and returned to the America East Tournament. The Catamounts saw three players garner All-Conference recognition, two of whom were coming off their freshman season. Under Pfeifer’s watch, two members of the squad also earned All-Rookie honors. The Catamounts continued to make tremendous strides in 2016, Pfeifer’s third year at the helm. UVM matched its combined win total from the previous two seasons and won its first six home matches for the first time since 1979. Lauren Tucker received NFHCA All-Region recognition and three Catamounts, including Tucker, picked up America East All-Conference awards. In 2017, Vermont grabbed five wins, including its first win over New Hampshire since 2007, with more than half the roster comprised of newcomers. Landon Warren received America East All-Conference honors and Olivia Hurd grabbed All-Academic honors for the second consecutive year. 2018 marked the first 8 win season in 10 years for the Catamounts. Highlighted by a trip to the America East Championship as the 3rd seed, and a 3-0 win at #15 nationally ranked Maine, it was a season to remember and one that the Catamounts will look to build upon in 2019. Rachel Phillips and Landon Warren were named to the All-Conference team, while Olivia Hurd and Taryn Marra received All-Academic honors. Newcomer Clodagh Ferry received an All-Rookie team recognition. Prior to arriving in Burlington, Pfeifer spent seven years at Northeastern University in Boston. After three seasons as an assistant with the Huskies she was promoted to associate head coach. She worked with all aspects of the team's tactical and technical development, specifically training the NU defensive unit, and was also the program's recruiting coordinator. During her tenure at Northeastern, the Huskies achieved the top ranking in the Northeast region in 2011 and 2012 and advanced to the Colonial Athletic Association (CAA) finals in 2011, 2012 and 2013. NU earned back-to-back berths to the NCAA Tournament in 2011 and 2012. While with the Huskies, Pfeifer coached and recruited four CAA Rookie of the Year honorees and, over her last three seasons, 13 players received All-Conference honors. Three Huskies also earned All-America laurels. Prior to joining the Northeastern staff, she was an assistant at Babson College for the 2006 season. In 2005, she coached at Franklin Parker West High School and the Windy City Field Hockey Club in Chicago. She has also worked extensively with the FUTURES program, the U.S. Field Hockey Association's developmental program. Pfeifer previously coached the New England Futures Elite Academy, which hosted the best high school players in the region and prepared them for the Olympic development track. In 2017 and 2018, Pfeifer coached the U16 New England representative team at the National Futures Championship in Manheim, Pennsylvania. Pfeifer enjoyed a stellar career at Michigan (2000-04) where she was an anchor of one of the strongest defensive units in the country. As a Wolverine, Pfeifer won four Big Ten Championships and made four NCAA Tournament appearances, which included a National Championship in 2001, and trips to the Final Four in 2001 and 2003. The Wolverines’ 2001 National Championship was the first for any women's team in the history of the Michigan athletic program. In her senior season, Pfeifer was a team captain and led the Wolverines to a Big Ten Regular Season Championship, a Big Ten Tournament Title, and a trip to the Elite Eight round of the NCAA Tournament. In 2003, Pfeifer was the recipient of the Brian Fishman Award at Michigan for exceptional work ethic, passion and pursuit of excellence. She was also awarded the Big Ten Sportsmanship Award in 2004 and was a three time Academic All-Big Ten Award winner. She was also selected to play in the NCAA Division I North-South Senior All-Star Game. Pfeifer graduated from Michigan with a Bachelor of Arts degree in psychology and earned a master's degree in business administration at Northeastern in 2010. She holds a Level II coaching accreditation from USA Field Hockey. 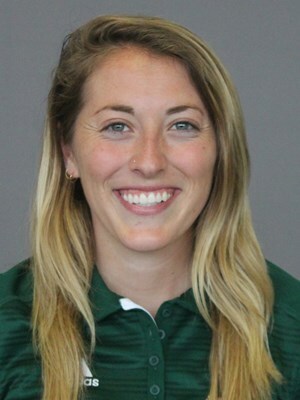 Hannah Wein joined the field hockey staff as an assistant coach ahead of the 2018 season, and worked primarily with the goalkeepers and the defensive unit. Wein was recruited by head coach Kate Pfeifer at Northeastern and played four years for the Huskies from 2013-16. Wein served as a volunteer assistant coach at NU in 2017 during the final season in the 30-year tenure of Northeastern Hall of Fame coach Cheryl Murtagh. She was also a coach at the Boston Field Hockey Club during that time. During her junior and senior seasons at Northeastern from 2015-16, she started and played every single minute in the team's 36 contests. Wein served as team captain as a senior, recording two defensive saves and adding an assist. A Maryland native, Wein played four years of varsity field hockey at Perryville High School, captaining the Panthers to a division championship during her senior season.